With more than 30 daily departures routes Split - Zagreb is one of the busiest in Croatia. The road distance is 419.79 km, the air distance is considerably shorter 259.18 km. There are many bus lines during the day and it is easy to plan your arrival in Zagreb whenever it fits you - early in the morning, around noon or in later eve. The bus from Split to Zagreb leaves almost every hour, to be more precise, from 01:00 a.m. to 11:30 p.m. Average travel duration is 5 hours, with one to two stops on the way. The duration of travel and number of stops depends on transport operator and the selection of the road - the new highway, or the old road. We recommend you to check that before the final purchase of bus tickets. The best one-way ticket is 89 HRK and the most expensive bus ticket is 140 HRK. Regardless if you are traveling in summer or winter, the bus heats or cools the air, and you can watch a movie to short the time of your trip. Most buses also allow free Wi-Fi network that could be congested in a crowded bus. Split bus station, as well as Zagreb's main bus station, are well equipped with additional amenities, such as coffee shops, wardrobe, and a kiosk. In addition, both stations are located near the center, so if you have a little more time and energy before departure or after your arrival go sightseeing the sights. If you are interested in any additional information and services, new discounts, terms and conditions, price charts and news and info related to timetables be free to contact employees at the Info Desk. Note that discounts are often granted to certain categories, and are tied for example for children, students, and pensioners. Autopoduzece Z d.o.o. Koop Autoherc d.o.o. Autotrans d.o.o. Koop APP Pozega d.d. If you come earlier to the Split bus station do not immediately sit down in the first cafe at the station and wait there. Leave the luggage in a nearby wardrobe and proceed to walk by the promenade Riva that offers a magnificent view of the sea. On the way to nearby bakeries and fast food restaurants buy something to eat. 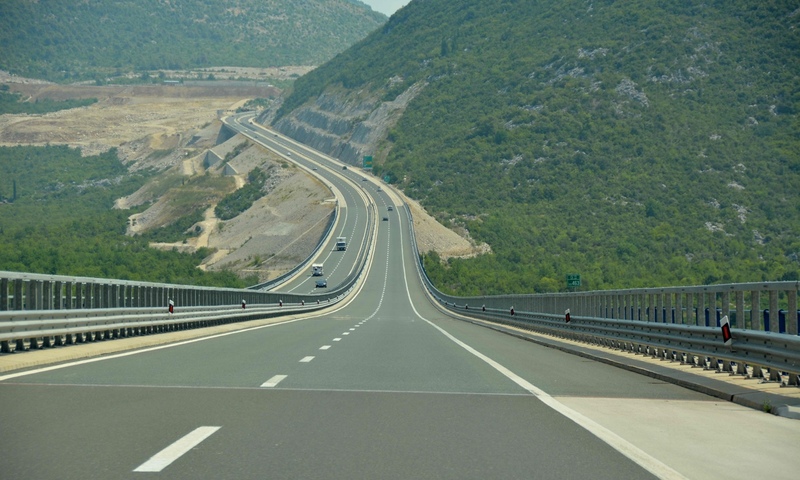 Since the opening of the new highway journey from Split to Zagreb is significantly shortened. Travel by that road is faster and more secure. The bus stops at least once on the route, even in direct lines on the highway regardless what it says that there are no stops. However, the number of stops means stops only at bus stations where the bus stop to pick up new passengers, not standing at gas stations or rest areas. Most of the carriers will arrive with the bus, regardless of selected roads, to the metropolis for about 5 hours. Duration of travel mostly depends on the road you are driving (highway / old road) and bus stations to the destination. Stops at a gas station normally take about 15 minutes. Just enough time to stretch your legs, go to the toilet, drink coffee, eat or read newspapers and magazines. It is worth noting that the prices of products in these shops on the highway are typically much more expensive than those at the station or place of departure. On the other hand, the old road has a beautiful landscape and offers fantastic views of the surrounding fields, meadows, forests and sea. Journey by the old road often includes additional stops at bus stations along the way. At the Zagreb bus station you can buy sticks, sandwiches and a bottle of your favorite beverage at nearby kiosks, shops and bakeries anytime during the day. Upon arriving in Zagreb, leave luggage in the wardrobe and drink a coffee in one of the cafes. If you need to use the bathroom, it's good to know that is charged 3 HRK. The train station is located at King Tomislav Square. More accurately, only ten minutes from the bus station. Considering that both stations are close located if you need to train station you do not have to go away. Zagreb is well connected by bus with other cities in Croatia such as Varaždin, Rijeka, Pula, Zadar, Split, Osijek, etc., as well as with other European centers. Bus carriers are equipped with air conditioning and TV, where you can watch romantic comedies from early 2000. Most of these carriers offer Wi-Fi to its passengers, and some of them have a toilet, offers a free luggage transport and is equipped with electrical outlets for charging mobile phones and other computer equipment. Fans of surfing shouldn't expect too much from free Wi-Fi in the bus. The bus ride between Split - Zagreb offers the best ratio for money in terms of cost, speed and comfort. The flight on the same route takes 45 minutes, not including the check-in and arrival at the airport, 24 km away from the center of Split, and costs a minimum of 600 HRK. Thus, the bus is undoubtedly easier and more affordable choice. Besides, departures from Split to Zagreb on daily basis are more frequent and you can choose a time of departure. If you planning a trip by car by the new highway, be sure that you're ahead of the bus at least an hour, but you have to pay the toll in an almost identical amount of round trip by bus, or 174 HRK. Of course, for a car, you need to include a cost of fuel. If you going to drive by old road, you will not have to pay the toll, but you'll drive an hour longer compared with a bus. The train ride from Split to Zagreb wasting more time, but also money. The trip takes 6-8 hours, a one-way train ticket cost about 200 HRK, i.e. almost as a round trip by bus. In addition, every day from Split to Zagreb the rail drives a maximum of three times. Times of departures are mostly as follows: 08:22, 14:21 and 21:44. The fact is that the last mentioned departure is sometimes unavailable. If you want to get faster from Split to Zagreb, select a direct line without any stops. Places where buses pass or stops include Solin, Dugopolje, Kastela, Trogir, Okrug Gornji, Skradin, Zadar, and Karlovac. Solin is the youngest city in Croatia and is located near Split. Besides the rich cultural and historical heritage, all lovers of nature and sport have an opportunity to experience activities such as hiking, diving, jogging, and paintball in Solin. If you don't prefer activities such as diving or paintball there is a lot of beautiful scenery where you can enjoy long walks. Skradin is a small town on the right bank of the river Krka. It is especially popular for ACI Marina that each year is visited by some of the most famous people in the world (e.g. Bill Gates, Jon Bon Jovi). Skradin trump card is proximity to the Krka National Park that is connected with Skradin by boat every day during the season. After Skradin bus passes through Zadar. Zadar is located in the heart of the Adriatic and besides the rich history, Zadar also offers excursion programs, a series of sports activities, beautiful beaches, and excellent gastronomy. Below is Karlovac that is known as a city that lies on four rivers: Dobra, Kupa, Korana and Mreznica. Except for the river beaches on Kupa and Mreznica, beautiful green spaces, historic part permeated with culture and popular Karlovac Beer Days, Karlovac is also extremely important transport hub. Split is founded on the basis of Diocletian's Palace from the 4th century, Split is one of the oldest Croatian cities on the coast. Today, Split has about 200,000 inhabitants and is the cultural, economic and economic center of Dalmatia. 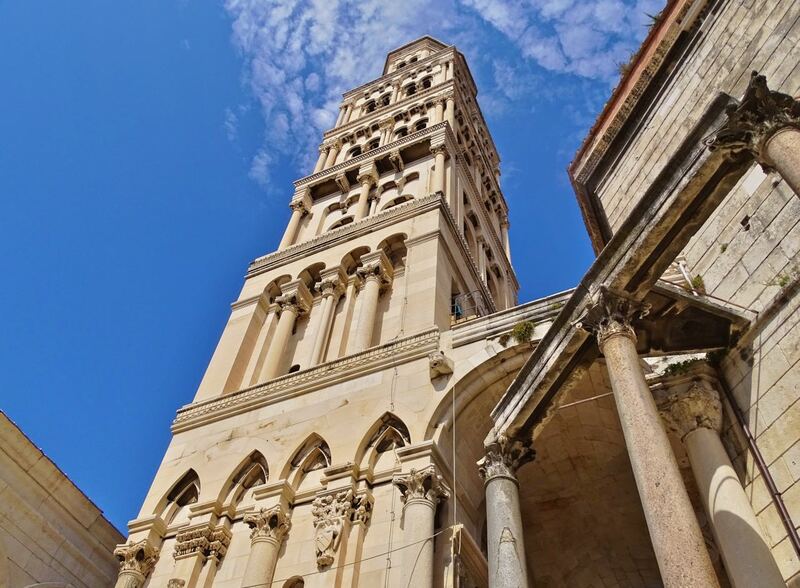 Except the Diocletian's Palace in Split, you must walk along the waterfront Riva, promenade near the bus station that is full of cafes, restaurants, and shops. But do not rush. Sit and drink coffee, just like Dalmatians. You'll fit perfectly if you prefer a slower pace of life in the city. If you have some extra time, you'll not be disappointed if you visit the fortress Gripe, square Prokurative and Poljud stadium of beloved local football club Hajduk. It should be noted that Split is well connected to the nearby islands of Brac, Hvar, Vis and Solta. 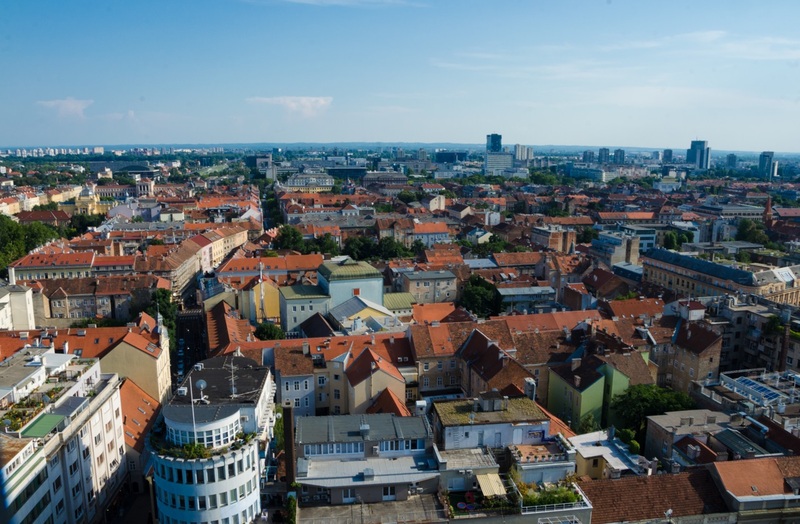 Zagreb is the capital of Croatia with around 1 million inhabitants. 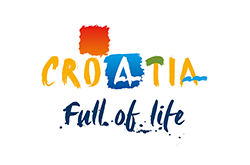 It boasts all the characteristics of a metropolis: rich cultural and artistic life, hurried pace of citizens from all parts of the country, diverse cuisine, exciting night scene, and excellent connections with other parts of Croatia and Europe. The main symbols of Zagreb, the Upper Town and center, cathedral and park Zrinjevac from the bus station are away just 15 minutes by tram. You'll need about half a day to walk through them. More if you want to fully explore. If you ask us, with the center of the city you should visit the Park Maksimir and Zagreb Zoo, Mirogoj Cemetery, Lake Jarun and Medvednica Nature Park. You'll be pretty tired but you'll go home full of impressions. If you planning to continue your way, Croatia is abundant in cities and towns by the sea, or in its vicinity to be seen such as Dubrovnik, Imotski, Šibenik, Plitvice Lakes, Krk, Rijeka, Pula, and Umag etc. Just as the city of Zagreb is known as the capital of Croatia, Rijeka is also recognized as a central port in Croatia and Dubrovnik as a cultural and historical center. It is perhaps far from Zagreb to Dubrovnik but Rijeka and cities in its vicinity are more than close, only a few hours by bus from Zagreb to Rijeka. If you looking for a small town very close to Zagreb do not forget Samobor or visit Osijek and meet Slavonia. If you want to travel outside of the Republic of Croatia consider destinations in the vicinity: Ljubljana, Belgrade, Mostar, Sarajevo, Podgorica, and Trieste. Contrary to the new destinations, if you go back from Zagreb to Split do not forget the surroundings of the city which is equally noteworthy, since these places hiding some of the most beautiful beaches on the Adriatic.